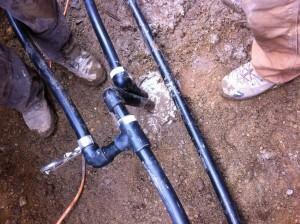 How is a Geothermal Ground Loop Installed? Although EnergySmart Alternatives has experience installing horizontal ground loops, most of our installations are vertical closed loop systems. There is a common misconception that horizontal trenching is always the cheapest method of installation. 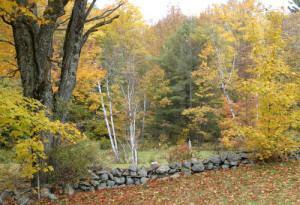 In New England, where bedrock is close to the ground surface and there are many rocks (and boulders! ), trenching can be difficult and unpredictable. In ideal situations, an experienced excavator can trench 100 to 150 feet per day. The time required to excavate can easily be doubled when difficult conditions arise. If a lot of rocks are present, it may be necessary to line the trench with sand or clean soil in order to protect the pipe from abrasion. Although we take great care to compact the soil after back-filling the trenches, there can be significant settling of the area over time. Vertical drilling is very predictable. 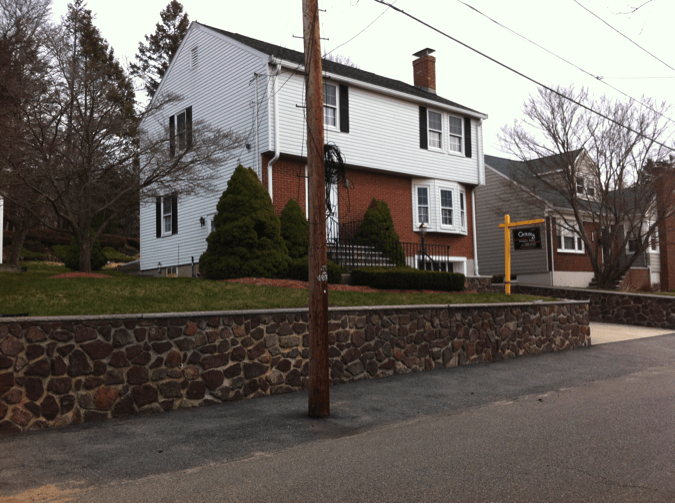 Bedrock (ledge) is not a problem – it is actually preferable for its heat transfer properties. The drill rig is the same equipment that is utilized to install drinking water or irrigation wells. An experienced driller will be able to drill 200 to 300 feet per day. The borings are finished three to four feet below grade so there is no evidence of the boring once the area is back-filled. There is no visible well head. Our on-line photo albums have a lot of great pictures showing the drilling equipment used for vertical drilling. To see how the pipe is installed into a vertical boring, please see our video from a geothermal installation in Winchester, MA. I would like to share the story of my own geothermal system installation. After buying the house, the first thing we did was to install a geothermal heating and cooling system. It is a 1,740 square foot single family home. The first step was to remove the 40 year old oil boiler, steam radiators, and 300 gallon oil tank – immediately. The boiler chimney was also removed making a perfect route for ductwork from the basement to the attic for the geothermal HVAC system. Because hot water was generated from the oil boiler, a new heat pump water heater was also installed. 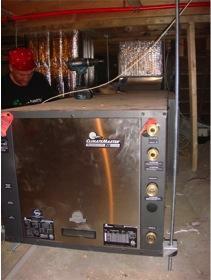 A Mass Save Heat Loan for $25,000 at 0% financing paid for a large portion of the installation cost. We also qualified for a 30% Federal Tax Credit for the geothermal system and a $300 Federal Tax Credit for the heat pump water heater. As part of the geothermal permitting process, a Well Installation Permit was obtained from the Board of Health. The Director at the Board of Health was not familiar with geothermal but I was able to obtain the permit after providing the appropriate State issued Underground Injection Control Registration documents and offering to provide a tour of the geothermal system after it was installed. There was absolutely no access for the geothermal drill rig from the front of the property due to a 5 foot tall retaining wall (To see more photos, please visit the photo album on our Facebook page). The only way to access the yard with the geothermal drill rig was to get permission from the backyard neighbor to allow us to back the trucks across her side yard. In return, I promised to repair the previously damaged fence and plant some grass when through. The drilling took about 2 days. Excavation to bring the pipes into the basement took another day and a half. It took 2 months to get the grass to grow back due to an extremely hot summer. 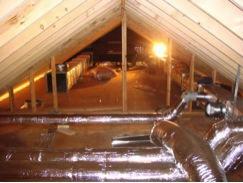 The house required a complete ductwork installation. The house now has two heating and air conditioning zones whereby the main floor and upstairs each have their own thermostat. The geothermal system has been operational since the middle of July 2013. It performs superbly through very hot and cold temperatures. We keep the house at 74F during the day and 72F at night during summer months. When using window air conditioners in the past, we would keep the house much warmer with only select rooms with air conditioning. In the winter we keep it at 64F while away and 67F while home. The system could easily achieve a warmer temperature but we’re frugal. 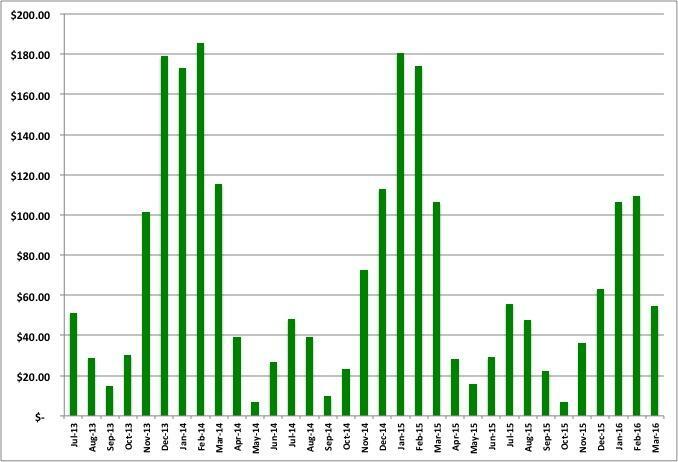 Geothermal electricity use has been tracked from July 2013 to April 2016 with a monitoring system purchased from Ground Energy Support. The previous owners of the house indicated that they would have about three oil tank fill ups per year on average. At $3.30 per gallon, that works out to approximately $2,500 per year on oil ($208 per month and no AC!). 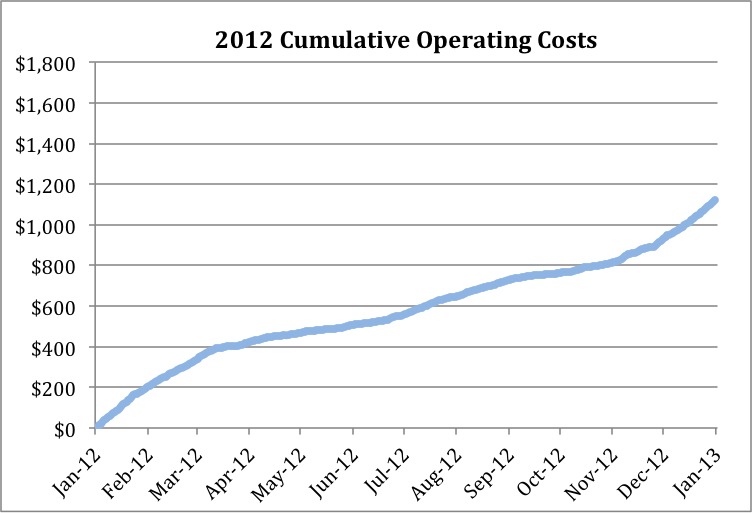 Our average geothermal operating costs have been between $60 and $70 per month and vary between $10 to $185. It is also fun to monitor electricity use and loop temperature in real time. If you have any questions about geothermal installations in urban settings, I would be happy to answer any questions that you might have. Please contact me through the information request form found on this website. Thanks for reading! 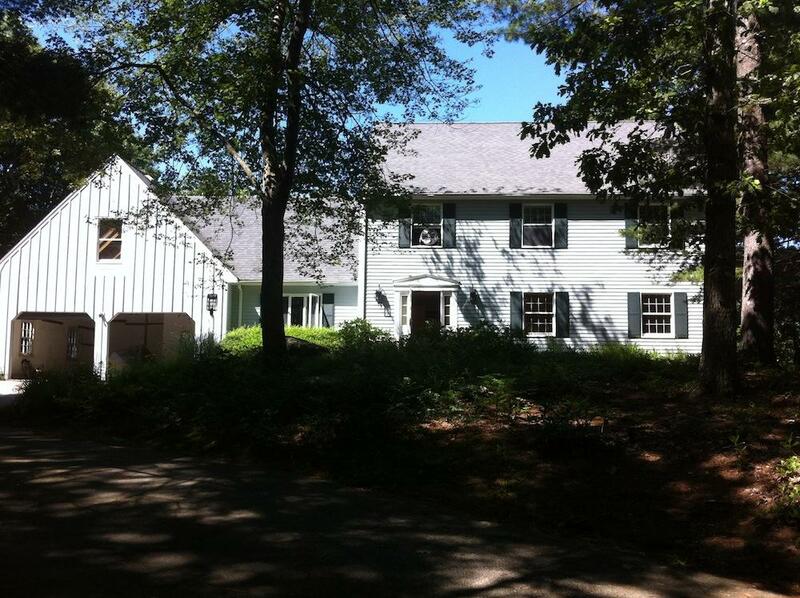 The owner of this 2,900 square foot home in Holliston, MA suffered a fire during a renovation. As a result, the whole house had to be gutted. Removing the old oil heating system was part of the project. Geothermal was chosen as the new heating and cooling system. We chose a closed loop vertical boring geothermal configuration for this home. Drilling consisted of two 6-inch diameter boreholes with a depth of 315 feet each. Pipes were installed into each of the borings and sealed in place with geothermal grout. The pipes were brought into the house through 2.5 cores through the concrete block foundation and were connected to the geothermal heat pump. The pipes were filled with antifreeze to provide freeze protection to 15F. The geothermal heat pump was placed in the crawl space in the basement with a majority of ductwork being located in the attic. 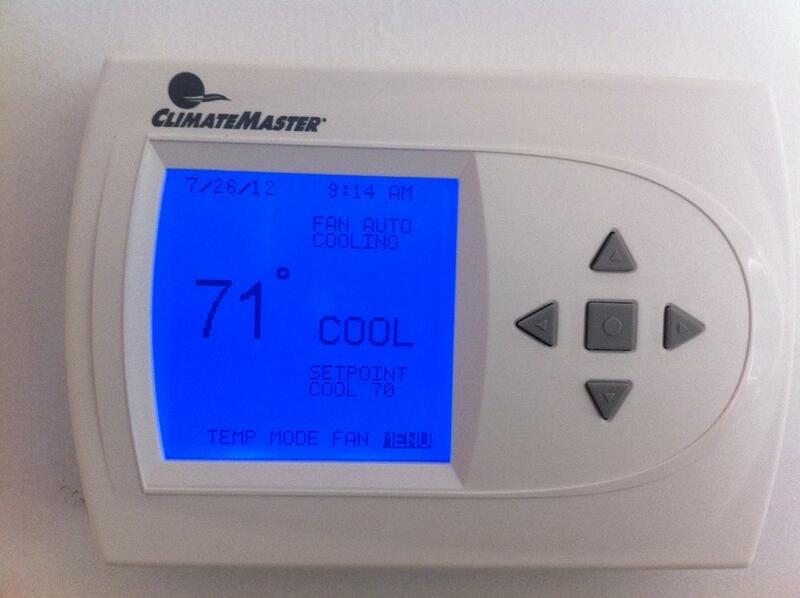 A new programmable EnergyStar heat pump thermostat with LED display was installed at a central location. A desuperheater was included with the geothermal unit should they decide to activate the hot-water assist feature in the future. Adjustable fan speed allows for superior dehumidification in the summer and even delivery of heat in the winter. To see more photos of this project, please click here. Many know that geothermal systems can make hot water but no one seems to understand how it works. Very simply – geothermal systems have a compressor. Whenever the compressor is operating, there is waste heat produced in the refrigeration cycle. 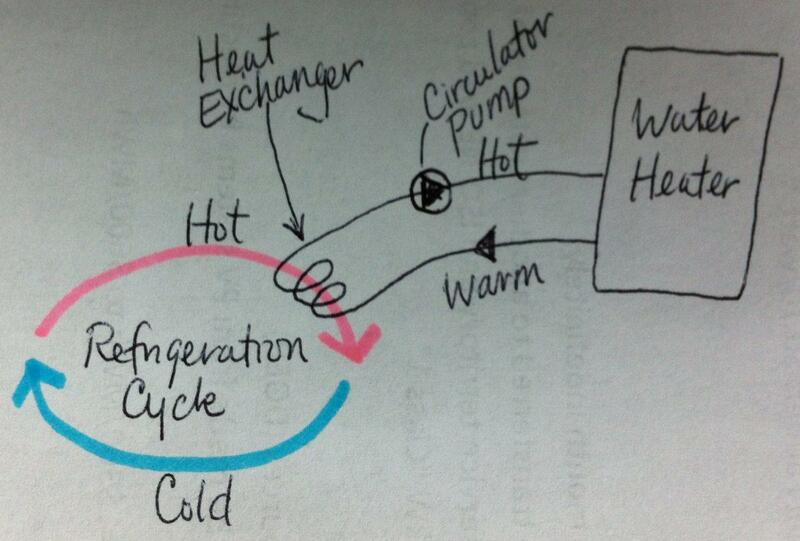 That waste heat can be used to produce domestic hot water. When operating, a desuperheater is capable of producing hot water with a temperature of 120F to 150F. When the compressor is not operating, the system doesn’t make any hot water. The balance of the hot water needs must be made up with gas, electric or some other fuel. Under typical conditions, a geothermal system will produce about 50% of a home’s annual hot water needs resulting in significant savings over traditional water heating fuels. 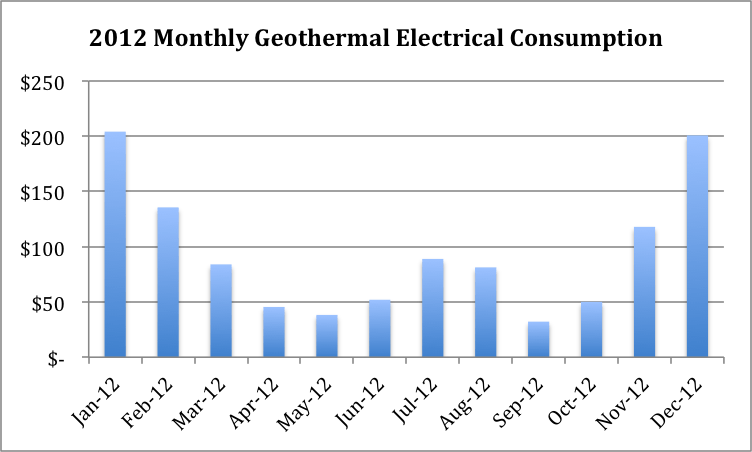 Still have questions about geothermal hot water production? Want to know what kind of water heater it will work with? Call or email us for more information. 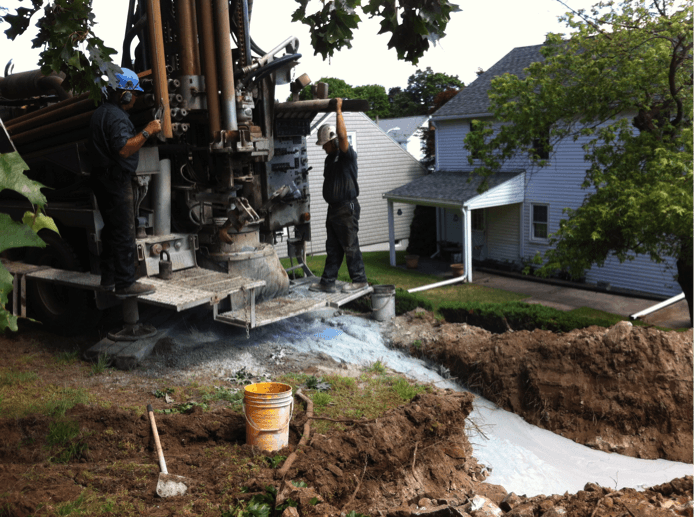 Leominster Geothermal Case Study Update – 1st Year Data is In! That’s right – $200 to heat a 2,200 square foot house for one month! Mind you, $2,052 is the price for never being comfortable. $2,052 is the cost to heat and cool the house with large set-backs in the winter and with insufficient cooling in the summer. By switching to geothermal, approximately 46% annual savings has been realized when compared to today’s oil prices. The savings exceed the cost of the geothermal system AND the homeowners are more comfortable, more often. How do you put a price tag on that? The first thing they teach us in ‘geothermal sales school’ is to never talk about payback time and to always talk about return on investment (ROI). The problem is that everyone understands payback time and that number is more tangible than a percentage value. In this post, I will show you how to calculate the payback time and how that number relates to ROI. The payback time is the amount of time it takes for your geothermal system to pay for itself. The payback time on these products is never which means that you will not make your money back within the lifespan of the product. Geothermal systems save you so much money that it will pay for itself within its lifetime. In this example, the simple payback would be approximately 10 years if the price of oil and electricity stays the same. This number also assumes that the oil furnace and the geothermal system will have the same lifespan. 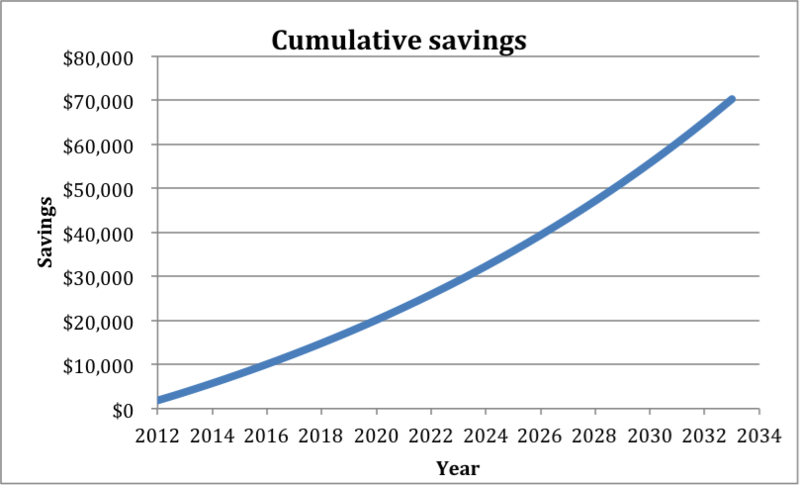 When the cumulative savings equals the amount invested (i.e. the cost of the geothermal system = $18,000), that is your payback time. In this example, the system is paid off in 2019 which is equivalent to a payback time of 8 years. AND after 22 years, you will have $55,500 in your pocket that you wouldn’t have had if you had installed an oil furnace. If you had to purchase a second oil furnace after 15 years, the savings would be more than $65,000! 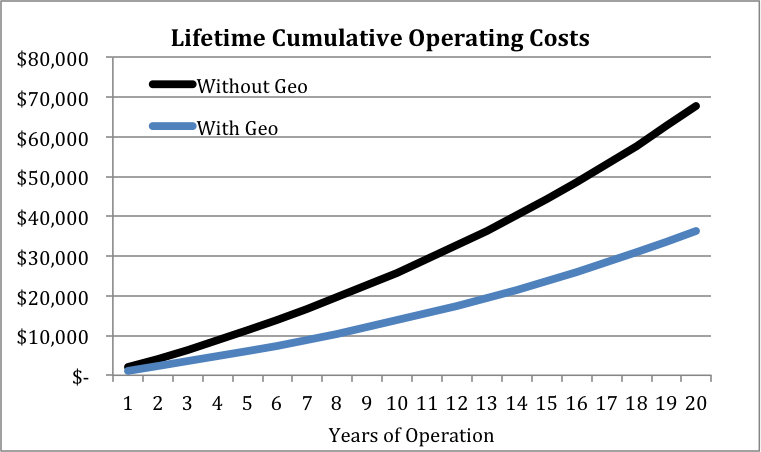 An 8 year payback time for a geothermal system is roughly equivalent to an ROI of 13%. Compare that to bank interest rates of less than 1%. For additional information, EnergySage has an excellent article about how renewable energy helps you keep more of your money in your pocket. Click here to learn more. You too can save thousands with geothermal. Here’s how. Suppose your Massachusetts home consumes 1,000 gallons of oil per year to heat your home. At $3.65 per gallon, that works out to $3,650 per year. 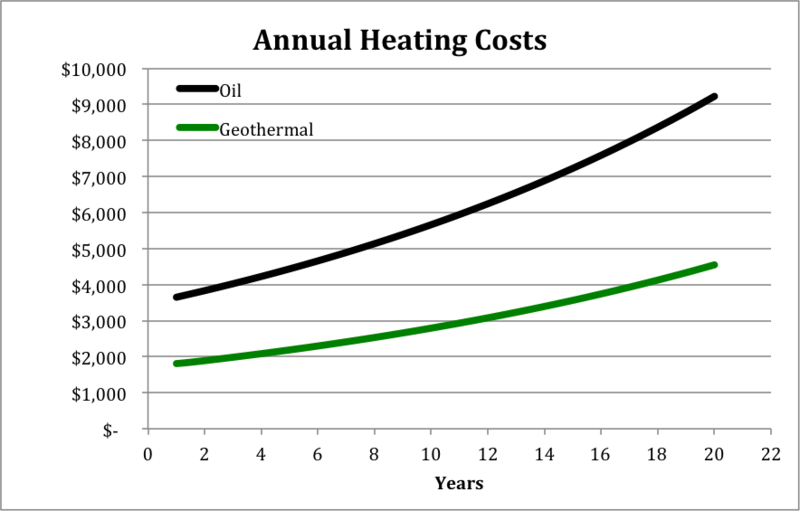 When compared to oil, you can conservatively expect to save at least 50% annually at today’s oil prices when heating with geothermal. Your bill this year would then be approximately $1,825. 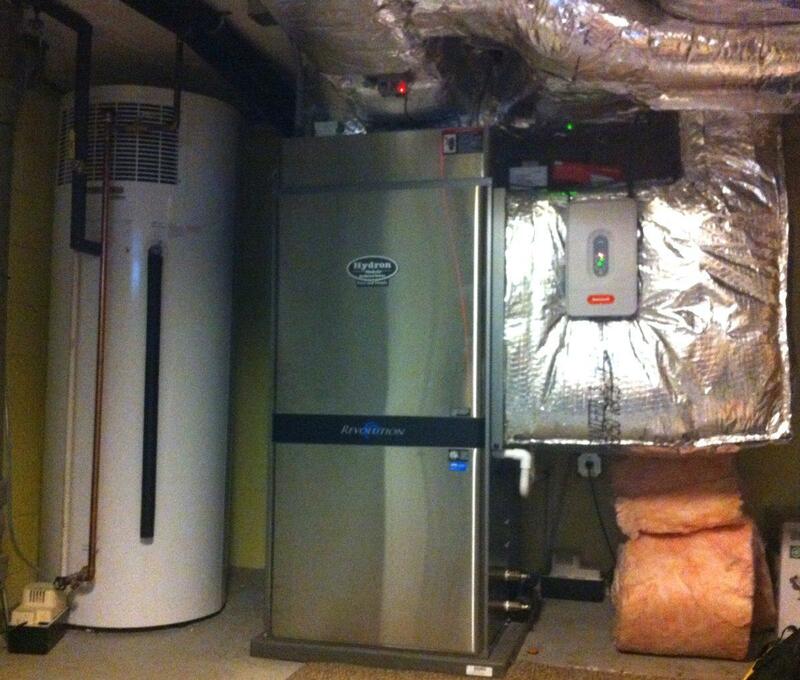 Cost of ownership should also be considered when shopping for a geothermal system. Geothermal systems last 1.5 to 2 times longer than conventional fossil fuel heating systems (15 year versus 22+ years). Maintenance costs are also lower for geothermal systems because there is no combustion and the equipment is not exposed to the elements. The numbers become particularly attractive in new construction scenarios where geothermal systems cost almost the same as a conventional system when tax credits are applied. 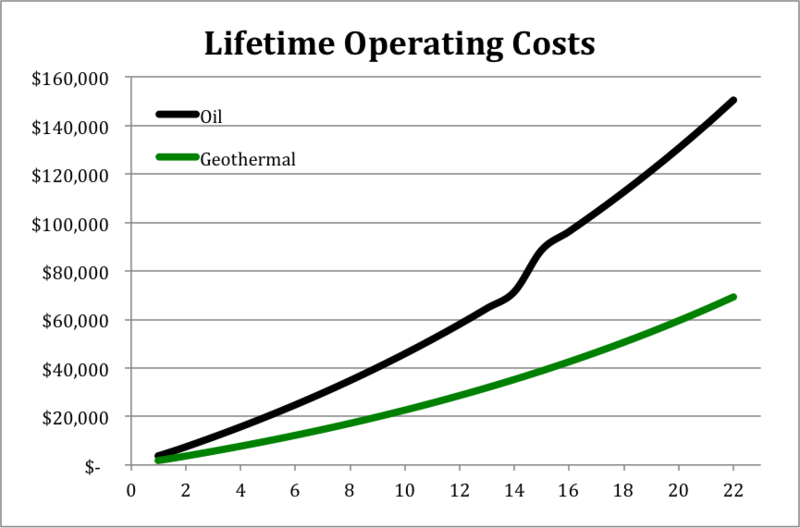 The chart below shows lifetime operating costs of oil and geothermal systems in new construction. To be conservative, we have assumed that the maintenance costs on both systems are the same. You can see how quickly those savings add up! For this example, the lifetime savings when compared to oil is over $80,000. Notice that our example does not take into consideration the fluctuating cost of oil. Here is some data that we found on the US Energy Information Administration website for the price of No. 2 residential heating oil. 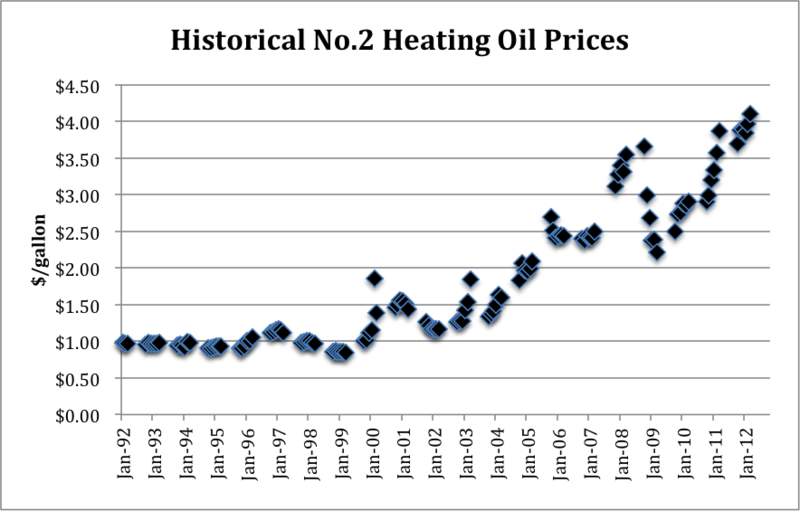 While prices were relatively stable through the 90s, over the past 20 years, the price of home heating oil has actually increased at a rate much greater than 5%. What would you do with an extra $80,000? Do you think the price of oil is going to go down? Let’s hear your thoughts. Call us today at 617-955-0063 to find out how much you could save by installing a geothermal system at your Massachusetts home or business. 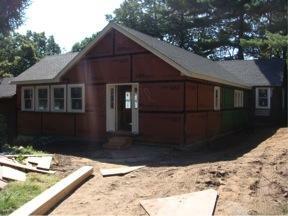 The new owners of this home in Dover, MA wanted major renovations completed before they moved in. 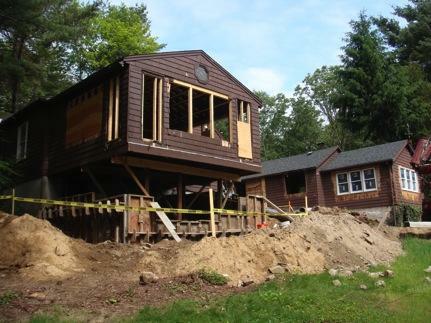 A 5-week construction time widow was given to the general contractor which included gutting several areas of the house. The renovation included the complete removal of the oil fueled hot water baseboard heating system and the installation of a geothermal HVAC system. Two days before taking possession of the house, EnergySmart was contracted for the design and installation of the geothermal system. Drilling consisted of two 6-inch diameter borings that were 25 feet apart. Pipes were installed into each of the borings and sealed in place with geothermal grout. The pipes were brought into the house through four 2.5-inch cores through the concrete foundation approximately 4 feet below grade. Two lines were connected to each geothermal heat pump. One heat pump would condition the basement and the main floor while the other would condition the second floor. New programmable EnergyStar heat pump thermostats with LED display replaced their old thermostats. The existing boiler, baseboard radiators, and oil tank were removed. 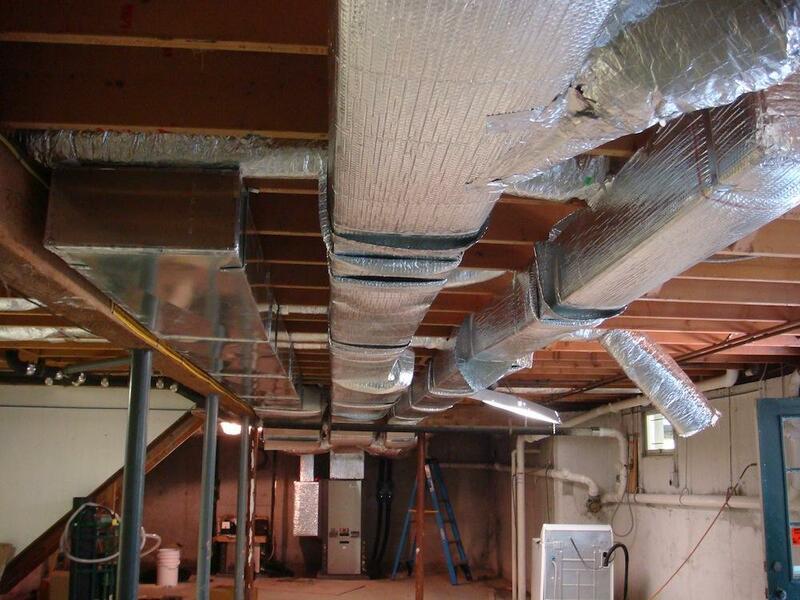 A complete forced air ductwork system was installed. We completed the installation 2 days ahead of schedule and the home was a cool 72F on the 90F move-in day. 50%+ savings in annual heating and cooling bills. If you would like to see more photos and videos of this geothermal installation in Dover, MA, please visit our Facebook Fan Page and our YouTube Channel. You can also learn more about the cost and financing of this system in this video produced by 360Chestnut. In my travels, whenever anyone asks me what I do, I usually say, “I install geothermal heating and cooling systems”. Many times the person I’m speaking to then says, “Oh, I don’t have enough space for that”. Geothermal installations in Massachusetts do not require large swaths of land! I have only encountered 4 or 5 properties where it was not possible. I am always surprised by the number of people who are familiar with photos of horizontal installations that can take acres of land. In my entire geothermal career, I have installed only three horizontal systems in Massachusetts and here is a VIDEO showing why. Encountering rocks, boulders and bedrock during digging is a nightmare. We almost always install vertical boreholes using a drill rig. The drill rig is 35 feet long, 8 feet wide and 13 feet tall. It weighs about 67,000 lbs (scroll down for photos). It is driven on the highway and on any roads that don’t have weight restrictions. Most homes need only one to four boreholes. Each borehole is only 6 inches in diameter. 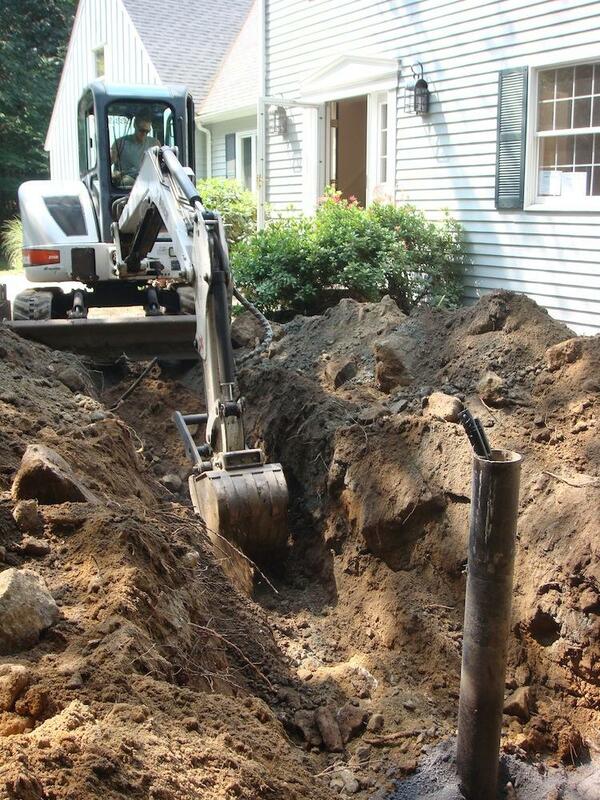 If you’re not sure whether you have enough space for geothermal, please give us a call at 617-955-0063 for a preliminary assessment over the phone. 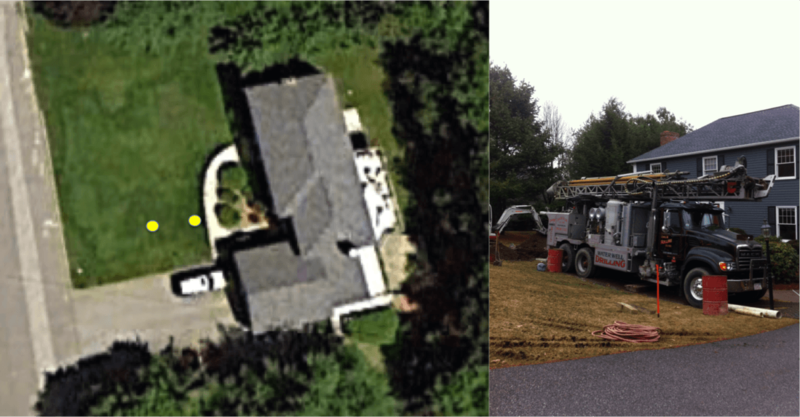 At the location shown below, we installed 2 geothermal borings in the front yard (yellow dots). The first boring is about 15 feet off the foundation and right outside the front door. The second boring is about 15 feet out from there. The photo on the right shows the drill rig and two support trucks. Although the backyard is quite large, we didn’t feel comfortable backing the truck into that location because of the fairly steep slope. At the location shown below, we installed 2 geothermal borings in the front yard. Again, the first boring was about 15 feet off the foundation, while the second is about 15 feet from there. There was not enough space between the house and the property lines to get the truck in the backyard. 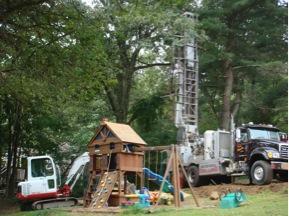 The photo on the right shows the drill rig and one support truck in the front yard. The home shown below had a very large front yard but we chose to drill as close to the house as possible. We could not drill further to the north because of the water and sewer lines. Access to the backyard appeared quite challenging because of the slope and limited turning radius of the truck. 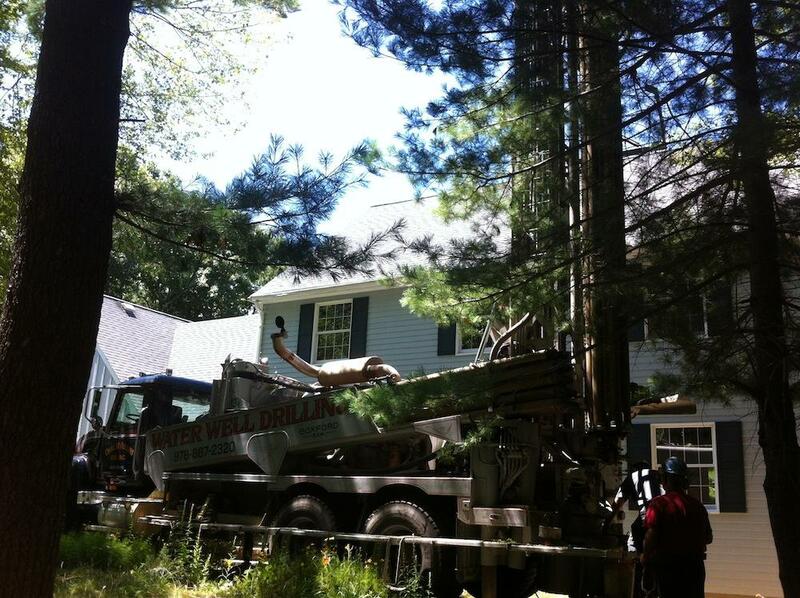 If you look carefully, you can see that we were able to pull the drill rig in between the garage and the lamp post. At the home shown below we installed two geothermal borings 12 feet off the foundation in the front yard. The photo on the right shown the drill rig pulled into a very narrow space. We were able to pull the drill rig in between the front steps and the lamppost.